Umarex have come out all guns blazing with this ultra sleek Walther PPK/S, this replica of James Bond's legendary side arm oozes class and sophistication. This PPK takes realism to new levels with the fine detailing and the top slide blow back technology making the pistol recoil like the real thing. 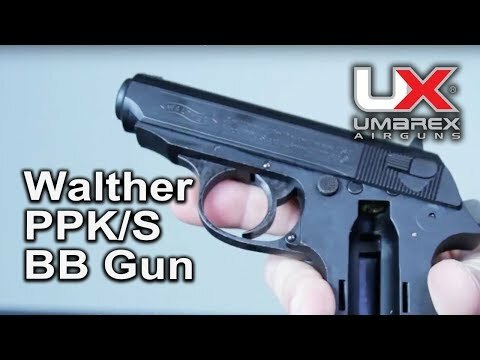 This Walther PPK is a full metal construction, semi automatic, Co2 pistol that feels as well built and substantial as its firearm big brother. The plastic ergonomic grip is the perfect size to fit in to your hand and make shooting easy and fun. With its 15 shot drop down magazine, this Walther PPK will fulfil the desires of even the most demanding Airgun shooter.